Economy If NAFTA dies, what happens to Canada’s trade with Mexico? If NAFTA dies, what happens to Canada’s trade with Mexico? 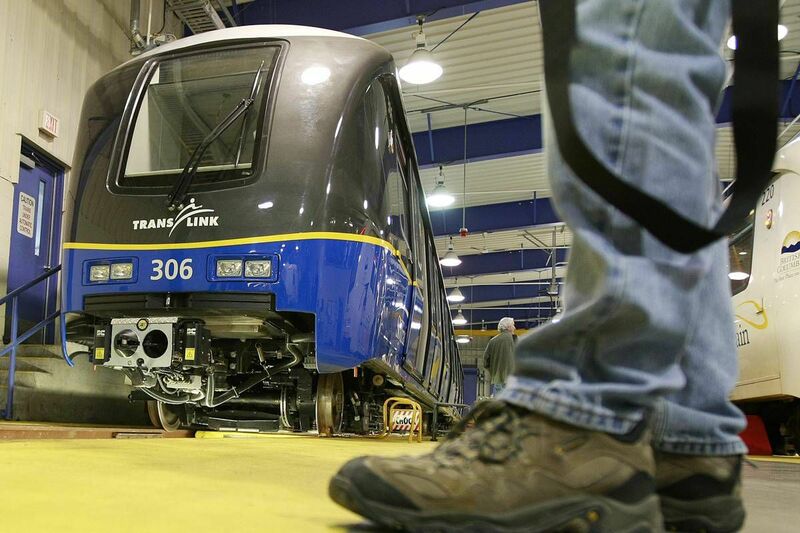 Bombardier Inc. built trains for Vancouver’s SkyTrain system in Mexico. Almost 24 years ago, the North American free-trade agreement made Mexico an important low-cost investment location for companies from Canada and the United States. Now President Donald Trump has put Mexico's key role in the North American supply chain in peril, tossing difficult new conditions into NAFTA negotiations and threatening to scrap the deal altogether. Not surprisingly, Canadian investors can't help but wonder whether Mexico is still a land of opportunity – or if the blush is coming off the rose. All three of the ProMexico offices operated in Canada by the Mexican ministry of the economy have seen an uptick in visits, said Rodrigo Contreras, trade and investment commissioner in Toronto. "They come in asking, 'What is the future of NAFTA?'" he said. "'Will my investment in Mexico be protected if NAFTA goes away?'" Companies are also seeking advice from Export Development Canada, said Todd Evans, director of corporate research at the agency. Canadian companies with operations in Mexico own assets worth $59-billion, said Mr. Evans, and employ more than 72,000 workers. Among them are Bombardier Inc., Magna International Inc. and DGB Canada Ltd. In 2015, foreign affiliate sales by Canadian companies in Mexico hit $17-billion. Complex business relationships are at stake, "so there is a lot of angst and anxiety around it," he said. Whether a Canadian company should invest in Mexico now depends entirely on why it wants to invest, said Robert Wolfe, professor of policy studies at Queen's University in Kingston, and an expert in trade policy. If it is to export to the United States, or to be part of supply chains involving the United States, "there is a degree of uncertainty at the moment," he said. "If you are investing there because it is part of the strategy for serving the Canadian market, the Mexican market or other markets, then it is unaffected by NAFTA," he said. "So it's a complex picture." Mexico has been making strides to ensure that foreign direct investment in the country is safe, according to a spokesperson for the Mexican ministry of the economy based in Ottawa. Should Mr. Trump trigger withdrawal from the treaty under Article 2205, the Mexican government has prepared a so-called Plan B to keep these investments secure. As Mr. Contreras put it, "Our country relies on foreign direct investment, so it is in our best interest to protect the interests of our investors and to give them peace of mind." In fact, Mexico has virtually transformed its investment climate over the past two decades, in large part thanks to NAFTA. It has improved its infrastructure, enhanced legal transparency and deregulated some sectors, such as telecommunications and energy. These moves, along with the country's much lower labour costs, have enabled Canadian companies, by doing business in Mexico, to compete more effectively against those in Asia and Europe. Mexico is still an optimal location for Canadian investment, Mr. Contreras says, particularly for companies diversifying away from a reliance on the U.S. market. Sectors such as agriculture and pharmaceuticals, he said, are looking at Mexico as a platform to export to South America, Europe and Asia. Mexico already has 46 free-trade agreements with countries around the world and is busy setting up new ones with Japan, Jordan and Turkey. With a population of more than 100 million, Mexico's domestic market also offers opportunities, said Mr. Contreras. However, as Dr. Wolfe pointed out, there is no telling what will happen to the Mexican economy should NAFTA disappear. "It is hard to estimate the overall impact on the Mexican economy and, therefore, of the viability of any investment in Mexico," he said. "If the Mexican market is tanking, your investment may not be sensible." In a post-NAFTA scenario, however, World Trade Organization protocols would kick in. Under the WTO's most-favoured-nation status, tariffs paid by most U.S.-based customers on most Canadian products are 1 per cent (2.5 per cent on auto parts). And while many companies can handle that, Mr. Evans said, under a newly protectionist regime in the United States, "you might see more regulations around the border – for example, more countervailing duty, anti-dumping actions, safeguard actions." Indeed, there is no escaping the fact that the demise of NAFTA would have serious repercussions on all three North American economies. For any company, the viability of its investments needs close and careful study. "What we are telling companies – there is a lot of noise, a lot of rhetoric, a lot of uncertainty out there – is that it's important to look past that, to maintain that long-term, strategic viewpoint of their business," said Mr. Evans. Mr. Contreras, however, said he remains optimistic. "We have been so focused on the United States, but the current scenario has been positive for our companies and for Canadian companies to start looking for connections so we can sell in global markets."